Whether you are planning a grand celebration or an intimate gathering, Washington DC has hundreds of places to host a party. 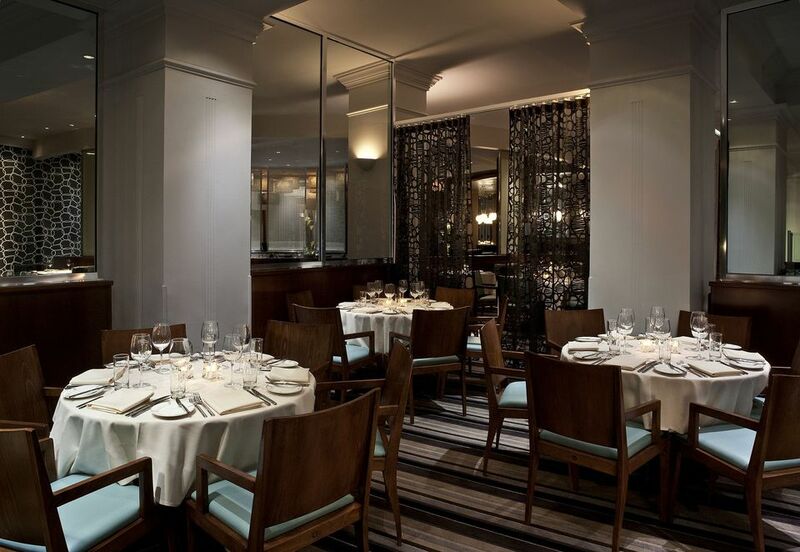 Washington DC’s best restaurants offer inviting private dining spaces to accommodate a variety of needs. The following guide highlights the best party venues in the region, spaces that would be appropriate for holiday parties, business dinners, birthday parties, anniversary parties, and more. Please note that details are subject to change. Please call the restaurant to confirm room capacity. Located on Capitol Hill, the modern tavern features three private rooms to hold an event ranging from a small happy hour to a large corporate event. Every event is custom designed with food and drink packages and can accommodate full audio and video needs. The restaurant offers private alcoves and rooms as well as ​semi-private spaces for dinners and happy hours. The 701 Back Room holds 12 comfortably; the new Corner View seats up to 22 people in privacy. Larger groups can be hosted in semi-private alcoves, with the option of utilizing the entire space for elegant events. Lounge 7 is ideal for private cocktail receptions, with its own private bar and unique décor for up to 60 people. The two-story restaurant in Georgetown has three dining rooms that can be rented for private parties accommodating 18-60 guests. For a larger gathering of up to 125 guests, check out F Scott's, the private party Art Deco club next door. Adour’s semi-private dining room with chefs table seats up to 16 guests. The main dining room seats up to 80 guests. Receptions for smaller or larger groups are accommodated at the St. Regis bar. Continue to 5 of 34 below. The Solen Room, on the second floor of the restaurant, accommodates up to 50 seated guests and receptions of up to 80 people. Agora’s party room mimics the Mediterranean oasis atmosphere of the lower level and provides a unique backdrop for meetings and special gatherings. The restaurant features modern, southern cuisine by an award-winning chef and offers a variety of party venues in a chic setting accommodating small groups and large parties. This Belgian restaurant located on bustling 14th Street serves seasonal and inventive modern cuisine, with more than 180 beers available and an extensive wine list. Private rooms and wine cellars to accommodate large groups and private parties for up to 175 people, with custom A/V and an in-house pastry chef who can customize birthday cakes and more. The restaurant provides multiple atmospheres to choose from including private elegant wood paneled rooms and a private patio. Private dining rooms can seat up to 100 people. Continue to 9 of 34 below. Belga offers classic Belgian fare and private dining for birthday parties, rehearsal dinners, wedding receptions, special events or business meetings. The main dining room seats up to 80 guests, semi-private dining room with chefs table seats up to 20 guests. The private dining room Betsy, is its rooftop gin garden, features a beautiful rooftop terrace and can accommodate up to 50 for a cocktail reception or 35 for a seated dinner, weather permitting. A dramatic stainless steel beaded curtain defines a semi-private dining area for up to 10 guests. ​The restaurant also has a large private dining room with two walls of expansive windows, that can seat 48 and comfortably accommodate up to 85 guests for a reception. The main dining room can also be reserved for a private celebration. The upstairs dining area is ideal for private events, corporate/organization meetings, and special celebrations. In addition to the restaurant being easily altered into a semi-private setting to seat groups of 20-45 people, the restaurant offers a private dining room for intimate gatherings of 10 to 20 persons. The main dining space is also available for gatherings of up to 120 people. Continue to 13 of 34 below. The restaurant offers one hundred Belgian beers on tap with matching glassware. Two private dining rooms are available, each capable of seating up to 35 guests for lunch or dinner and up to 50 guests for a cocktail reception. The rooms can also be combined to create a larger space for up to 70 guests seated or 80 plus guests standing. The stylish Georgetown restaurant offers distinctive private dining rooms to accommodate up to 22 people. The entire restaurant can be rented for larger events. The family-style restaurant has 9 private dining rooms with 700 seats and state of the art technology available for meetings and special events. Carmine's specializing in catering for large parties. The restaurant offers panoramic views of the Capitol Building and private dining rooms that can accommodate 10 to 70 guests for a seated dinner or 20 to 160 guests for a cocktail reception. Exclusive use of the main dining room can accommodate events of up to 200 guests for a seated dinner. The rooftop terrace can also be used for a cocktail reception and up to 230 guests for a seated dinner. Continue to 17 of 34 below. The restaurant exudes the ambiance of an Old Havana street scene, complete with an indoor courtyard and replicated building facades featuring balconies, windows, and arched entranceways. Two private dining rooms are available with audio-visual capabilities accommodating up to 52 seated guests and receptions of up to 70 people. Full or partial buy-outs are available for corporate, social or convention events. A variety of entertainment options are offered including cigar rolling, floorshows, salsa lessons, professional dancers, and musicians. The restaurant offers contemporary American comfort food and has the charm of a neighborhood restaurant. Private dining rooms provide intimate settings accommodating up to 40 guests. The entire restaurant is available for larger events. The historic setting of the National Press Club is available for special events. The private dining room seats up to 36. The Texas roadhouse with towering, industrial-height ceilings, two full bars, offers the entire space, the lower Club Level, and several semi-private areas for special events. The lower Club Level has a stage, state-of-the-art sound and video equipment, a large bar, and seats 125, with capacity for 200-225 for standing cocktail receptions. Hill Country also has several semi-private spaces for smaller groups of 10 – 60 guests. Country, Rock, Blues, and even Karaoke bands can be booked for any private event. Continue to 21 of 34 below. The Red Room has a seating capacity of 55 guests and cocktail reception (limited seating) capacity of 80. Menus for parties are derived from the restaurant's full offerings and highlights seasonal produce from the company's farm in nearby Maryland as well as other local vendors. There is no room rental fee, simply a food and beverage minimum. Full rental of the restaurant is also available for larger groups. Located in Dupont Circle, The Mansion is home to over 100 rooms and 32 secret doors offering a variety of unique romantic spaces. The elegant restaurant provides a great venue for entertaining. The Palladin Room seats 60. The entire restaurant can be rented for a large party. The historic restaurant has several event spaces and will assist with floral arrangements, video equipment, and other services. The Monument Room can accommodate 200, Presidential Rooms (East and West) 60, Wine Room 22, Courtyard 100, Patio 200. Continue to 25 of 34 below. Private Dining in the Barracuda Room can accommodate up to 20 people and the Marlin Room can accommodate up to 50 people. The main dining room can also be rented for large parties. Located just steps away from the White House, the power dining hotspot features three private dining rooms, which combined to host 250 guests for a special event. For a more intimate gathering, The Oval Room can accommodate 70 people in the main dining room, 40 people in the Green Room and 10 people in the semi-private dining area. The restaurant features a lovely private dining room that accommodates up to 50 guests for a seated dinner and 60 for a standing reception. For small social gatherings, the Butterfly Bar is available for groups of up to 25 guests. Overlooking the treetop views of historic Franklin Square, the event space can accommodate large corporate functions or intimate holiday gatherings. Welcoming balconies and lounges offer a nice ambiance for mingling and merriment. Continue to 29 of 34 below. The Kennedy Center's restaurant offers a unique venue with stunning skyline views of the Metropolitan Washington, DC area. The full space can be rented or smaller parties can enjoy an intimate setting in the private dining room, which can seat 30 for dinner and up to 45 for a reception. The intimate neighborhood restaurant showcases naturally-raised and local ingredients, paired with an expansive California and Italian influenced wine list. Sonoma is available for parties ranging from 15 to 175, with a private lounge hour complete with working fireplace and bar ideal for receptions in addition to the private dining room. The elegant restaurant offers two private dining spaces that can seat up to 30 people and a semi-private room that seats up to 50 people. Menus can be customized to meet specific needs. The sports bar, located in Adams Morgan, offers multiple private party spaces, discounted drinks for all booked parties, buffet-style food options and accommodations for groups of any size up to 200 people. Continue to 33 of 34 below. The restaurant has many options from private and semi-private dining to lounge reservations. With a wide variety of seating arrangements, the restaurant is ideal to celebrate a special occasion. Zaytinya offers an innovative mezze menu inspired by Turkish, Greek, and Lebanese cuisines served in a sleek and modern setting. The restaurant offers a semi-private mezzanine on the upper level overlooking the entire dining room. This space is ideal for cocktail receptions and parties and can accommodate up to 42 guests seated. A smaller lower area can be combined with the upper mezzanine to accommodate a maximum of 58 guests seated. What Are the Best Places to Host a Party in Maryland?